Known to be one of the most common types of joint diseases, Osteoarthritis (OA) is a degenerative disease of the joint involving the joint lining, cartilage, underlying bone, and ligaments. The diseases generally affects the knee, hand, hip, and spine and is characterized by stiffness, pain, swelling, and limited motion of the affected joint. It is estimated that by the year 2020, osteoarthritis will be the fourth leading cause of disability across the globe. Thus the overall scope of expansion of the global osteoarthritis market, consisting drugs, medical devices used for treatment and diagnosis, and other interventions used to treat and diagnose the condition, is immense. While the vast and rising patient population of the condition will remain the key driving force for the market, other factors such as a promising pace of research and development sector, increased funds diverted to the healthcare sector, rising population of geriatrics, and rising disposable incomes will also drive the market. The osteoarthritis report provides valuable insights on the trends shaping the global osteoarthritis market to help clients develop effective business strategies. Furthermore, the report can allow businesses to quantify patient populations in the global osteoarthritis market and to enhance product pricing, design, and launch plans. It will also help organize sales and marketing efforts by recognizing the segments that provide the most lucrative opportunities for the market. The global market for osteoarthritis is prognosticated to gain immense traction from the healthcare industry. The breaking down of the joint cartilage in the body along with the dislodging of the underlying bone results in osteoarthritis. Some of the common symptoms of osteoarthritis include stiffness of joints, joint pain, decreased range of motion, swelling of joints. The most common sites of influence are neck, lower back, ends of fingers, base of thumb, hips, and knee. Initially the symptoms of osteoarthritis are only experienced after the body has undergone fatigue due to strenuous activates, but become more recurring overtime. Osteoarthritis, also known as Degenerative Joint Disease (DJD), can usually be of two types: primary osteoarthritis and secondary osteoarthritis. The market for global osteoarthritis can be analyzed by gauging the instance of the disorder across the globe. Technological advancements in the healthcare industry have generated renewed hope in medical professionals with regards to the cure of osteoarthritis. Hence, the demand within the global osteoarthritis market has witnessed a prominent surge in recent times. Drug discovery has also emerged as an important standpoint within the domain of medical research. The initiatives taken by several laboratories and research centers to manufacture novel drugs has resulted in better treatment mechanisms for osteoarthritis. This has garnered the trust of the common masses as well as medical practitioners who add up to the base of consumers within the market. Furthermore, the spending capacity of the public has risen across the globe, and the willingness of the people to spend on medical aid assists market growth. However, the strict regulatory policies with the regards to the administration of drugs has hampered market growth. In the contemporary scenario, the rapid developments in medical sciences have reduced the cost of treatment for osteoarthritis. There are tremendous opportunities resting in the market within emerging economies, and the market players can bank on the available growth spaces. 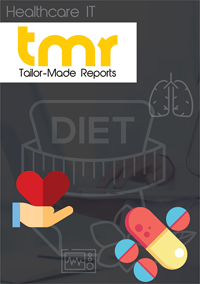 Besides this, product innovations, increase in the number of clinical trials, and development of biologic drugs are among other factors that could propel the market to fruition. The global market for osteoarthritis is geographically segmented into Europe, Asia Pacific, Latin America, the Middle East and Africa, and North America. The market is reigned by North America in the contemporary times, and the regions is expected to continue harnessing the huge customer base. The rising geriatric population coupled with the supremacy of the healthcare industry in the region are the major factors behind the affluent growth of the region. Healthcare insurance is also an important factor that gives an impetus to the market in North America. Europe is expected to follow North America in terms of market growth rate over the coming years. Moreover, the market in Asia Pacific is expected to exhibit lucrative growth opportunities over the coming years due to development of several advanced healthcare centers. Medical tourism, leading to exchange of key advances in medical research, is behind the escalating growth graph of the market in Asia Pacific. The market players have been forming strategic alliances in order to exert their influence on the global market. These players are expected to engage in key research and development initiatives to claim a greater market share. Some of the key market players include Pfizer, Inc., Eli Lilly and Company, Johnson & Johnson Limited, Abbott Laboratories, and Novartis AG.